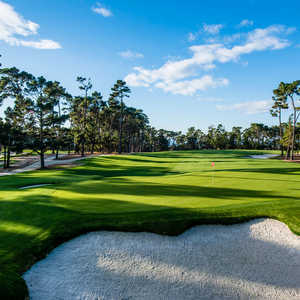 PEBBLE BEACH, Calif. -- Pebble Beach caddie and Northern California Golf Association (NCCA) Hall of Famer Casey Boyns is the rarest of breeds, a resort caddie whose golden game and Bagger Vance-styled golf-whispering are both hot commodities. In 2009, Pebble Beach caddie Casey Boyns was inducted into the California Golf Hall of Fame as one of the state's "greatest amateur players." 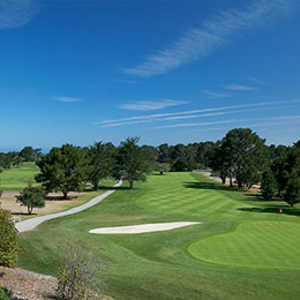 In 2009, Boyns, a resident of Pacific Grove, was elected to the California Golf Hall of Fame as one of "California's greatest amateur players" in a class that included golfer/announcer icons Roger Maltbie and Bob Murphy. Boyns earned his ticket largely on the basis of two wins in the ultra competitive California State Amateur in 1989 and 1993 -- a tournament whose multiple winners include names like Ken Venturi (1951, 1956) and Bobby Clampett (1978, 1980). By comparison, legendary Golden Staters John Cook and Mark O'Meara managed to win the coveted Cal Am only once. In sum, Boyns owns the hardware for just about every NCGA tourney, regular and senior. And lest he be pigeonholed as a Cali-only player, his national credentials include qualifying for eight USGA events, including three U.S. Amateurs, two U.S. Mid-Amateurs, two Public Links, and one Team Championship. Even with the mantle full to overflowing at his modest ranch home off famed 17-Mile Drive, Boyns still faces stiff competition each year in the Pebble Beach Caddy's Tournament -- a bragging-rights event for Pebble Beach Golf Links loopers played at the historic links along Carmel Bay and at the likes of Cypress Point, where the winning golfer-looper unbelievably fires subpar rounds. Boyns points out that at one time Pebble counted among its regular resort caddies three state amateur champions from three different Western states. Boyns, who grew up in Pebble Beach just off the off Matador Road right in the heart of the famed Monterey Peninsula Country Club (his dad wasn't a member, so he had to steal a member tag to get on), played his college golf at the University of Utah. In his mid fifties now, he still sometimes entertains notions of trying the Champions circuit. "I've tried a couple of times," Boyns admits. "I've got the fire. But I know my level. I know the cap on my level. I'm a plus 1. Tiger's like a plus 8 or 9. That's seven or eight shots a day in a four-round tournament." "Back when I was 45, I was saying 'Okay, I'm gonna try hard and get my game in shape, and see if I can do this. By the time I was 48, I wasn't getting any better. It's like, 'You know what, I don't even want to do it. I'm raising a family,'" Boyns said. "Plus, 10 years ago it was easier to get out there. They took 32 guys." For now, Casey Boyns is thinking less about stepping to the plate to swing the bat and more about the golfing equivalent of third-base coach: caddying his players home safely. In the 2000 U.S. Open at Pebble, he looped for long-hitting Clemson grad Charles Warren, who beat the odds to make the cut. "I had a really good time with Charles," Boyns recalled. "He measured all the course with his scope during the practice round. They [PGA Tour pros] really do their homework." 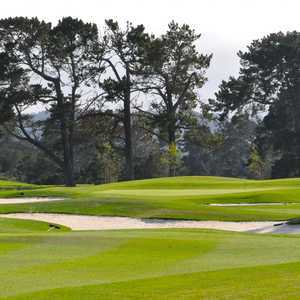 Since 1972, when he lost to a local schoolteacher in the lottery to tote Jack Nicklaus's bag and instead ended up exiled to the cliff on Pebble's eighth hole to handle the ball-spotting, Boyns has had time to grow comfortable with the limelight his golfing and caddying have earned him, including a regular loop for legendary San Francisco Giants owner Bob Lurie each year at the AT&T National Pro-am. He's comforted by the notion that when he shoulders the bag in the 2010 Open at Pebble, he and his game won't be in the media crosshairs. "You're the caddy. You're on a giant stage, but you don't even think about it. You don't look at the camera. They're not focused on you." Still, sometimes Boyns's Hall of Fame accolades are hard to miss, like at the turn at Pebble Beach, where one of his State Am plaques hangs in Neville's Snack Shop in full view of the linksters whose bags he holds as they fortify themselves with hotdogs before tackling Pebble's impossible ninth hole. For a Hall of Fame golfer who earns his keep taking a steady stream of resort hacks around one of the world's most difficult tests, ordering up some strategic anonymity is all-around good course management. Former newspaper sports writer and editor Zachary Michael Jack is the editor of many essay collections on the environment and outdoor life. He specializes in writing about golf. Zachary is the author of "The Links of Evalon" and edited "Inside the Ropes: Sportswriters Get Their Game On."